Discussion Carry bag / Phone GPS 'Holder' ? Carry bag / Phone GPS 'Holder' ? Sorry guys, Out of the loop for a few years; searched ebay, Googled it......but can't find anything to hold a phone in a viewable position on a carry bag if using it for GPS purposes. Viewable when walking or after having it set down? The former might be more awkward if you need a "holder", I rather just put the phone in a easy access pocket close to my left hand when carrying. Depends on your bag. I think it was just a google image search. 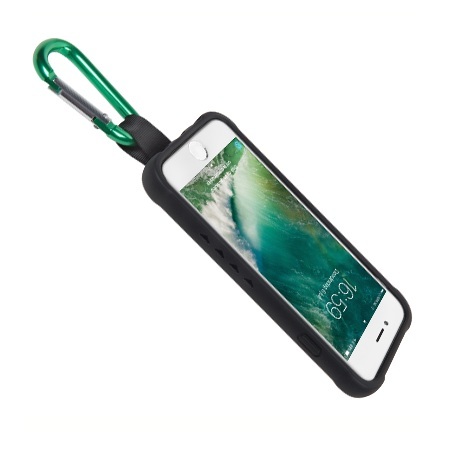 https://www.armor-x.com/cx-i7ls-sl-apple-iphone-7-protective-case-with-belt-clip-and-carabiner.html this one would work on an IP7 I presume. Not too tacky and rugged, should do fine hanging loose on a bag. Me, I'm Swedish so none of these cases would suffice - we need polar bear proofing as well.